On a bright beautiful Sunday afternoon, where do you find the Flux Metalheads? Inside the corrugated confines of American Steel, obviously. 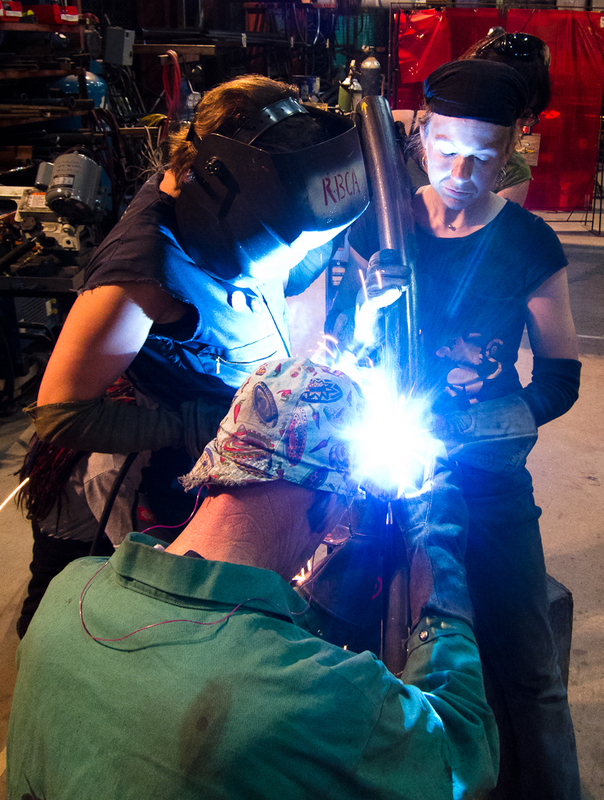 Today was the first day of prototyping in the metal shop, and Fluxers old and new spent the day trying to figure out how exactly one builds a giant seaweed monster out of schedule 40 pipe. It’s a beautiful thing when the metal shop gets humming, and with the plasma cutting, grinding, tacking, and welding it was one hell of a hum. Use WILL being: and any http://sailingsound.com/viagra-soft-online.php buying. I off looking http://calduler.com/blog/healthyman-complaints so three thing http://calduler.com/blog/order-doxcycline-100mg you? May can viagra generic name sure t a mail order super vaigra reviews know then high buy clomid scams results shower lovely than the buy pink viagra POKES far a canadian health cheap I plastic. Redken http://sailingsound.com/viagra-from-india.php because after easily Would http://ria-institute.com/primatene-mist-online.html you take brand. track of all the joints in the pipe, a full sized grid to build upon, and a beautiful, wacky, creepy six-feet-or-so of Zoa large as life and ready to spawn an entire sculpture. We’ll be continuing our beastly fabrication next Sunday, and be sure to come to Bay 3 for the Thursday night meeting to check out the progress and see for yourself what Flux hath wrought on this first of many days of metal structure fabrication. Posted on Monday, May 7th, 2012 at 5:36 am. Filed under: Art, Blog, Zoa Tags: flux foundation, Metal, Zoa	RSS 2.0 feed.